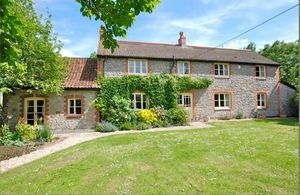 A splendid period farmhouse standing in around 2.25 acres on the outskirts of Blackford just a short distance from Wedmore. This delightful and appealing house has lots of good living space. Part of the house can easily be used as a self-contained annexe. Garage, carport, gardens and paddock. 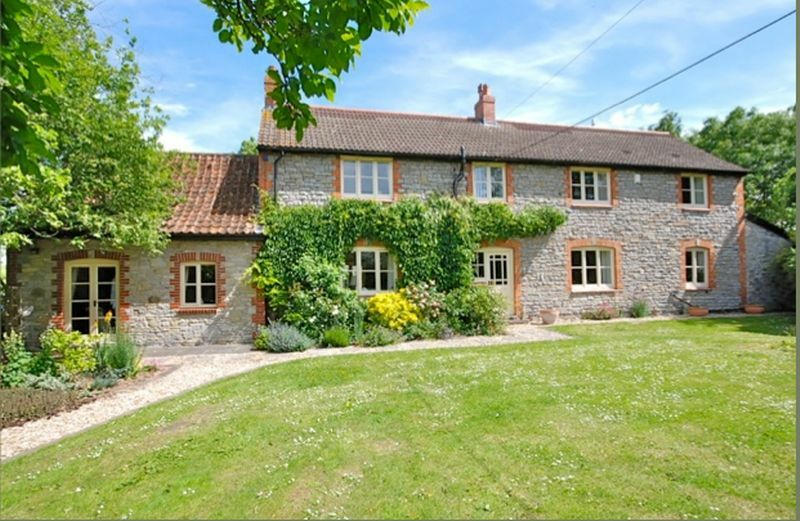 A splendid period farmhouse standing in around 2.25 acres on the outskirts of Blackford just a short distance from Wedmore. This delightful and appealing house has lots of good living space with an entrance hall, 4 reception rooms, conservatory, large kitchen/breakfast room, cloakroom, 4/5 bedrooms and 3 bathrooms. Part of the house can easily be used as a self-contained unit for teenagers, visitors or as a granny annexe. Externally there is an oak framed garage and a carport, lawned gardens and a paddock. From Wedmore take the B3139 westwards and continue to the village of Blackford. Cider House is situated on the right hand side just before leaving the village. A sweeping gravel drive leads into the property and passes the front lawn bounded by mature trees to the one side and hedging and a reinstated orchard to the other. The house has well arranged accommodation with the add advantage that part can be used as a self- contained “granny annexe” if needed. It includes an ENTRANCE HALL with staircase. DRAWING ROOM with French doors to the conservatory and a fireplace with an inset wood-burning stove. SITTING ROOM with an open brick fireplace and a side alcove with cupboards and bookshelves. DINING ROOM with fireplace and French doors into the conservatory. INNER HALL with back door. CLOAKROOM. 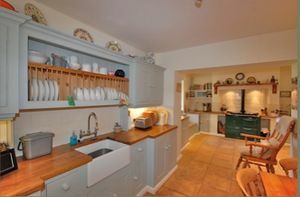 KITCHEN AND BREAKFAST ROOM with a tiled floor and a range of floor and wall mounted units with an aga forming the centrepiece. There are solid wood worktops incorporating a sink and window seat. The breakfast area has further units and drawers with an additional oven and a further sink. Off the kitchen is a large walk in Pantry with BOILER ROOM beyond. CONSERVATORY this provides great living space being a large room, which connects the drawing room and dining room and overlooks the rear yard and gardens. On the west side of the house is A WING, which can be used as a self-contained “Granny annexe” if needed. 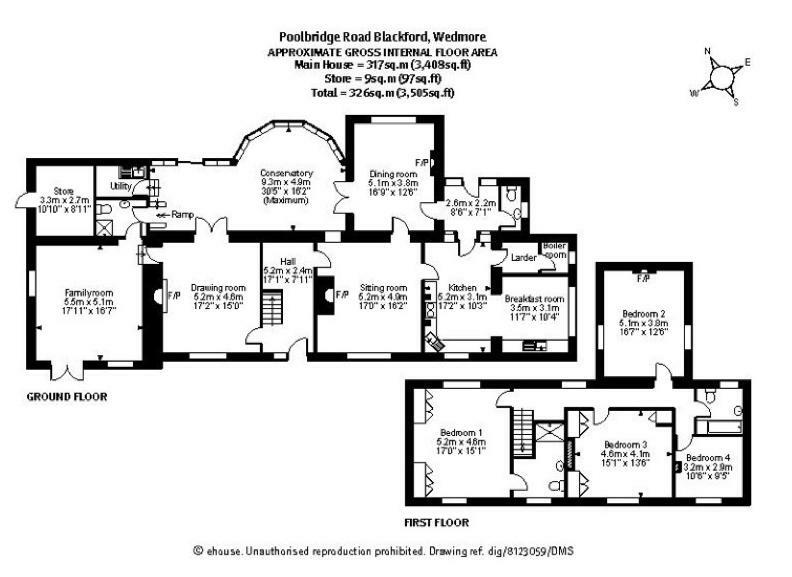 It includes a FAMILY ROOM or 5th BEDROOM or STUDY with an adjacent CLOAKROOM, UTILITY AND STOREROOM. FIRST FLOOR. MASTER BEDROOM ONE a dual aspect room with fitted wardrobes and an EN SUITE SHOWER ROOM. BEDROOMS TWO, THREE AND FOUR. FAMILY BATHROOM. The entrance drive continues to the rear of the house and where there is an OAK FRAMED CARPORT with a TRACTOR STORE and LOG STORE. Between this building and the house is a paved, well- sheltered and very private terrace. The property is set within its own grounds of about 2.25 acres with lawns, a side orchard and a rear paddock. Services – mains water, electricity and drainage. Oil fired central heating. THE PROPERTY MISDESCRIPTIONS ACT 1991 These details are for guidance only and complete accuracy cannot be guaranteed. If there is any point which is of particular importance to you, verification should be obtained. They do not constitute a contract or part of a contract. All measurements are approximate. No guarantee can be given with regard to planning permissions or fitness for purpose. No apparatus, equipment, fixture or fitting has been tested. Items shown in photographs are NOT necessarily included. Interested parties are advised to check availability and make an appointment to view before travelling to see a property. DATA PROTECTION ACT 1998 Please note that all personal information provided by customers wishing to receive information and/or services from the estate agent will be processed by the estate agent, for the purpose of providing services associated with the business of an estate agent.